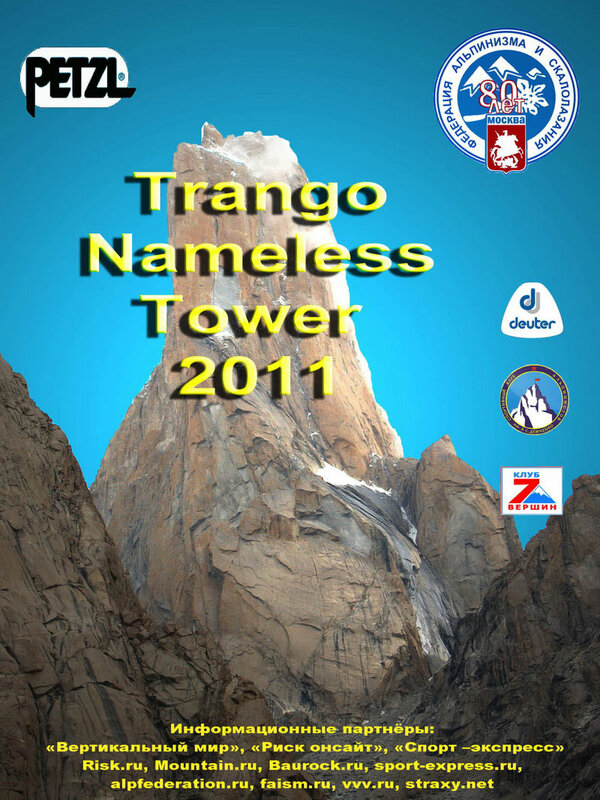 In august 2011 a new route on Trango Tower (Nameless Tower) wall was put up by the Moscow Mountaineering and Climbing Federation team during the expedition to Karakoram. This is the first Russian route on this mountain. Trango Tower or Nameless Tower (6251 meters) is located in the north of Pakistan in the Baltoro glacier area. 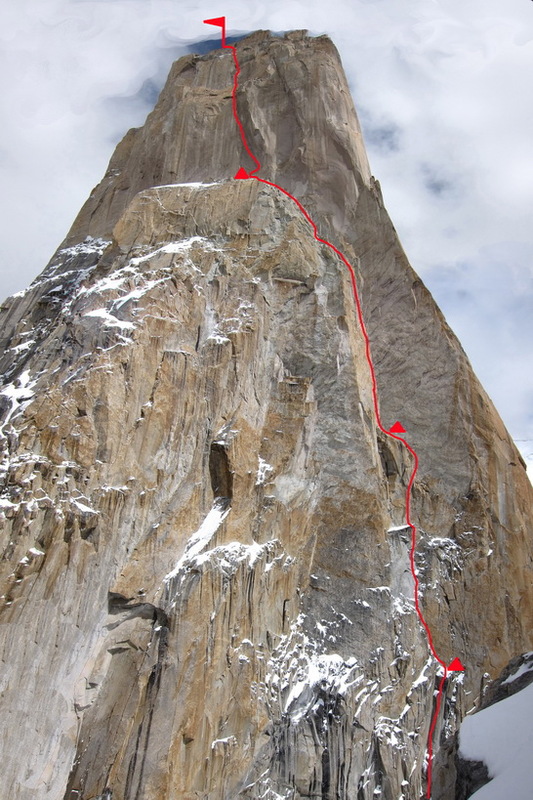 It is part of the Trango summits group , an area known for their giant walls. 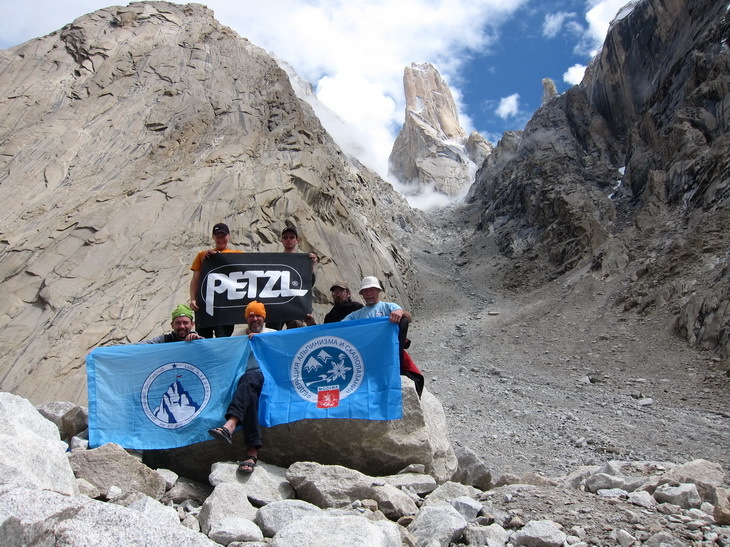 The Moscow expedition achieved double success on Trango. One team of climbers made the first ascent on the Tower, while the second group climbed the beautiful and difficult Slovenian route on the Western wall. The first climb on the North-western face took 10 days. Three intermediate camps were placed and the climbers lived in pairs on two platforms. On August 2-3rd we were working on the route and after that fixed 5 ropes. At that time only one pair worked. On August 5th we hauled all bags and “blasted” from the land. Totally we ascended 8 days. During the first 4-5 days the weather was fine and clear. It was relatively warm, considering the altitude, of 5000-6000 meters. Later on in the expedition it got colder and snowed. By the day of summit push the weather had turned bad. We decided not to wait as the forecast was for worse weather, so on August 12th we just jumared fixed line ropes and topped in alpine style. On the same day we climbed down to the 3rd camp. Descend was on the ascending way. On August 13th we rappelled on the land and slept in ABC. 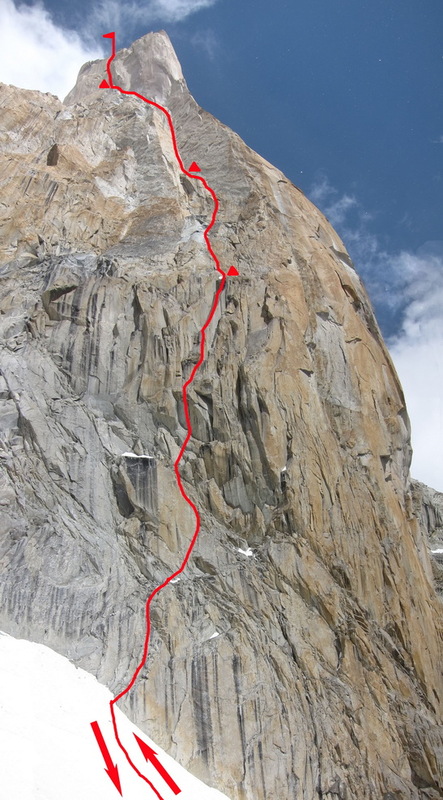 The route on the center of North-Western face is graded as VII (F 6b+), A3. We called it “No Fear” – the slogan of the famous Moscow climbing club named Demchenko, of which all the team are members. The entire route, especially its lower and middle part, has a lot of overhangs and corners, including some very large one. The rock is granite, mainly monolith. During the ascent there was a lot of technical and climbing work. Difference in height of the route: 1000 meters. Volodin Viktor (head of the group), Golovchenko Dmitriy, Nilov Sergey, Yurkin Alexander. Sergey Kotachkov (senior trainer) managed from ABC camp. 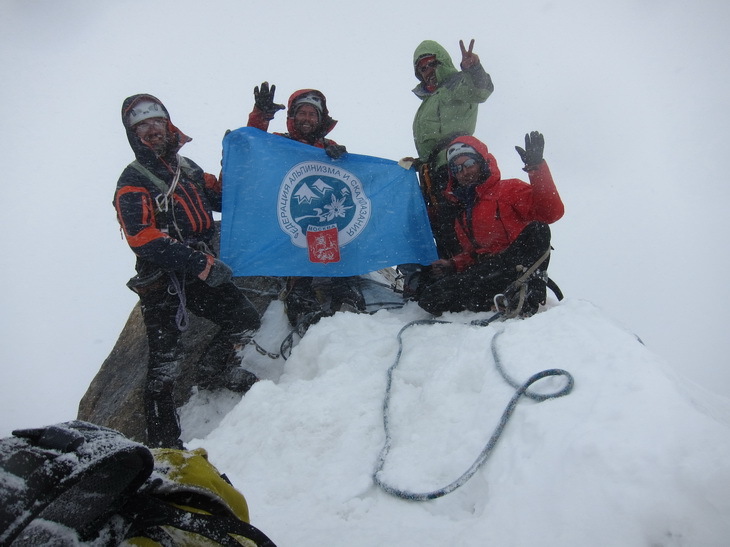 The expedition to Karakoram is devoted to 80-years anniversary of the Moscow Mountaineering and Climbing Federation. The Moscow Mountaineering and Climbing Federation, 7 summits Club, Climbing club named Demchenko. Team say Thank you to everybody who helped and supported this expedition.